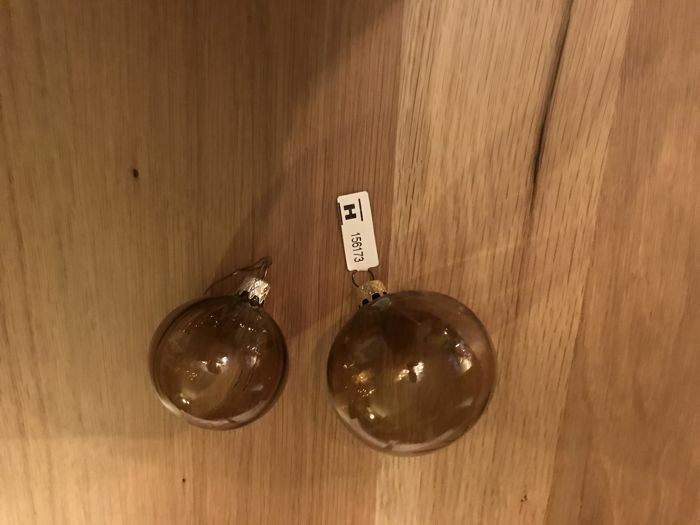 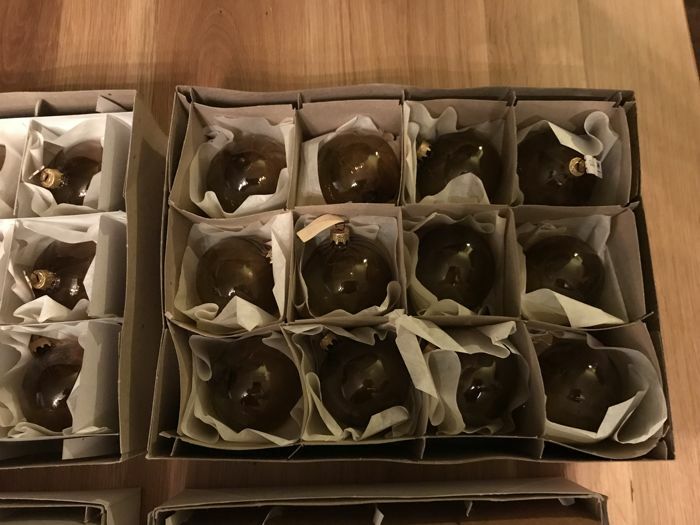 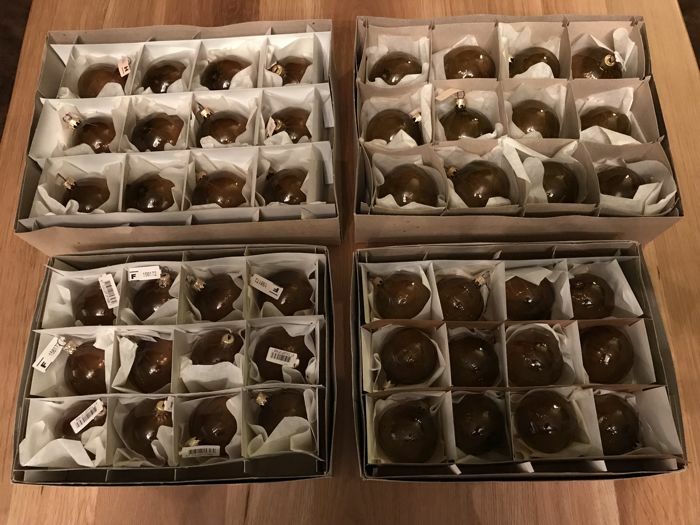 48 Christmas balls in ochre brown colour. 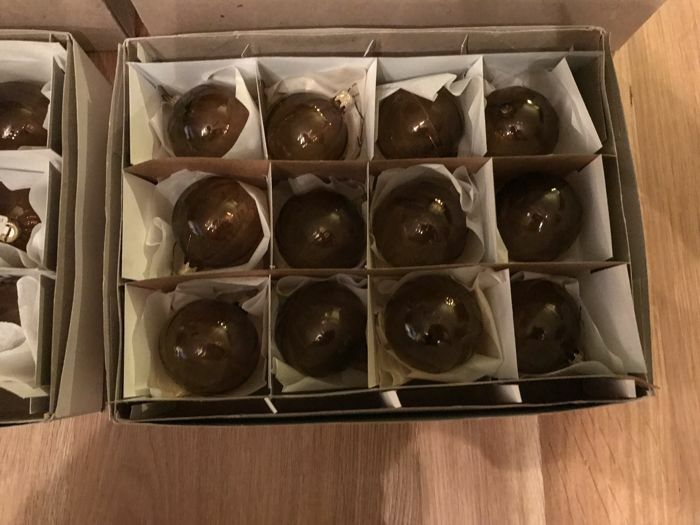 24 pcs with a diameter of 5 cm. 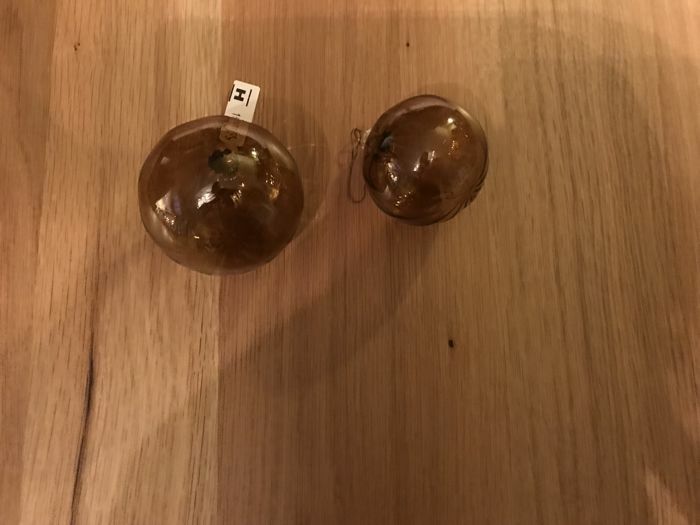 24 cm, with a diameter of 6 cm.